LASER TATTOO REMOVAL IMPROVES LIFE IN THE DIGITAL AGE. DISAPPEARING INC. ALLOWS APPLE WATCH TO WORK. Boston, MA – June 20, 2018 –- Disappearing inc., New England’s largest company specializing exclusively in laser tattoo removal and lightening, has helped to improve life in the digital age. “A client of ours received a gift of an Apple Watch. It didn’t work. A friend then tried the watch and it worked. What they experienced was an Apple feature called wrist detection and it sometimes does not function through a tattoo; his ink made some features of his watch unusable. People come to us for all sorts of reasons, but he was the first to come for a tattoo lightening with hopes of making his expensive watch work. We knew we could help and, after lasering his tattoo three times, his watch began working. He told us that receiving that first email notification shocked him so much he jumped. It’s even improved his health! Now he says his Apple Watch tells him when he’s being lazy and it’s time to get moving,” said Rob Harris, Founder/Owner of Disappearing Inc. Body art is all the rage with 45 million Americans (40% of adults 26-40) sporting a tattoo. According to new research studies conducted by Disappearing inc., the psychological phenomenon of “tattoo regret” is on the rise. “Even for people like us who love tattoos, we know not everybody loves every tattoo they get. Whether it’s just bad art, bad placement for an Apple Watch or the name of an ex, it can lead to ‘tattoo regret,’” said Harris. “In our recent online survey of 300 random tattooed people, over 75% of the participants had more than one tattoo and nearly 60% of those participants didn’t like one or more of their tattoos. What’s more, many tattoo enthusiasts want to fade their older tattoos to make room on their canvas for something different, bigger or better. These are extraordinary numbers and are quite telling about how people feel about what they have on their bodies.” explained Harris. 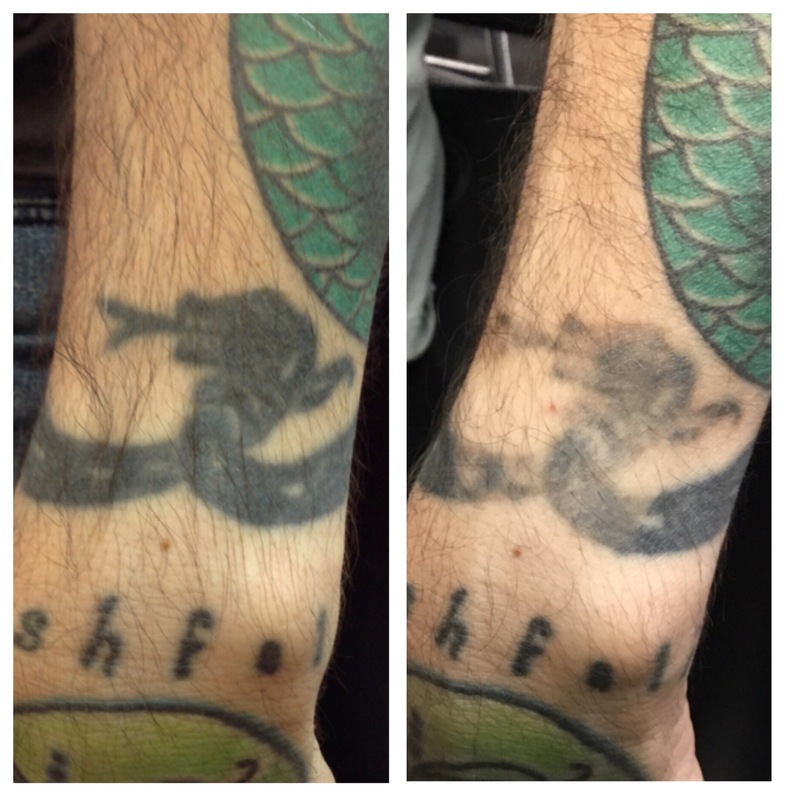 “Every day we hear how thankful our clients are that we’ve removed or lightened their tattoos. We are committed to do everything we can to make our clients happy; whatever they want on their skin, off their skin or whatever they need to do to make today’s technology work,” said Harris. About Disappearing inc. and Our Laser Technology – Tattoo removal or lightening is a big decision and people should feel extremely comfortable with the studio they choose. We at Disappearing inc. love tattoos, have them ourselves and are experts in understanding tattoos, ink and technology better than anyone. Using only the state-of-art Quanta lasers, Disappearing inc. can safely remove or fade even the toughest of tattoos while offering the best value in laser tattoo removal and lightening. Disappearing inc. is the only tattoo removal company to provide an “Undo Your Tattoo Guarantee” so there is no uncertainty about results or cost for clients.